Clean up the competition with our microfiber cleaning cloths. 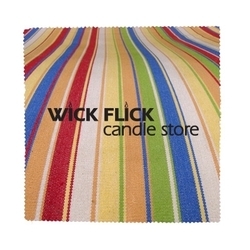 Our microfiber cloths come in a variety of colors or die-cut shapes and are screen printed with 1-2 colors. Each micro fiber cloth is packaged in a clear bag. Custom PMS Micro Fiber Cloth Color. Must order min of 8,000 & increments of 8,000 - NO LTM. Imprint area cannot be larger than 1/3 of entire cloth or must order heat transfer. Please see product options for pricing.